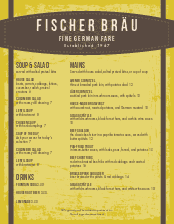 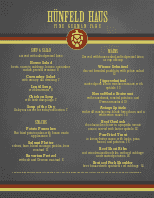 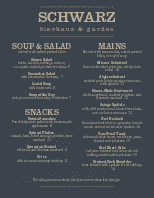 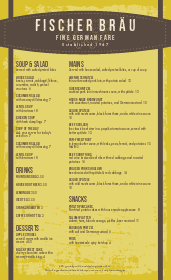 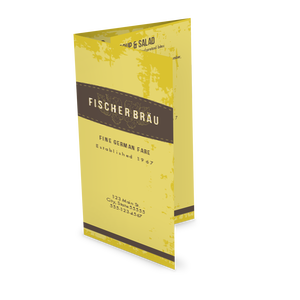 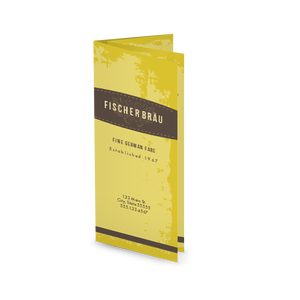 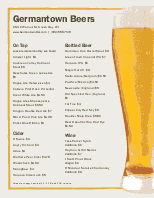 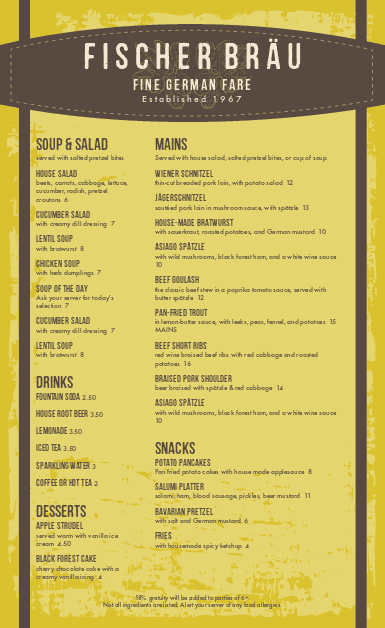 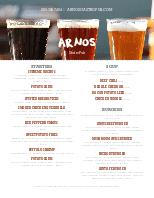 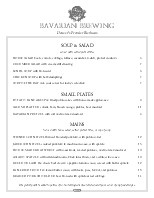 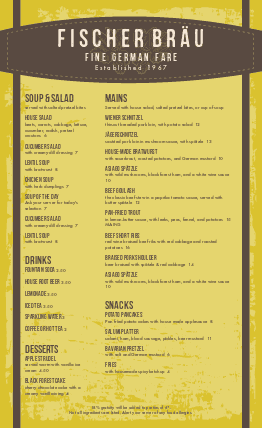 List your pub fare with this lederhosen inspired German Foods Menu template. 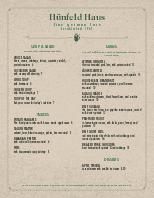 This template displays a textured border and bold, modern fonts. 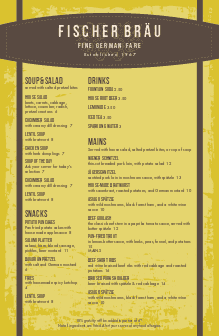 Customize this template with the online Menu Maker.